Singapore is a popular stop off between Indonesian and Thailand and the UK and Australia, but if your looking for things to do, make sure you visit Singapore Zoo. The best thing about Singapore Zoo is the lack of cages or fences, the majority of animals are only separated from visitors by deep ditches. As the monkeys and orang utan’s swing freely above you it feels as though fearsome wolves could easily leap out at you and at any moment the rhinos could charge un-expectantly through the the vegetation . The 28 hectare ‘open zoo’ has over 3,200 mammals, birds and reptiles and fishes. Make sure you catch the feeding of the polar bear and orang utan and visit the gorgeous pygmy hippos and tree kangaroos. i love singapore zoo, but i haven’t been there for ages. next time i stop over i’ll be sure to(hopefully) check it out!! love the blog you have here and the absolutely goregeous imagery. Thanks Bec, glad you like the blog, Singapore Zoo is definitely the best Zoo I’ve ever visited. 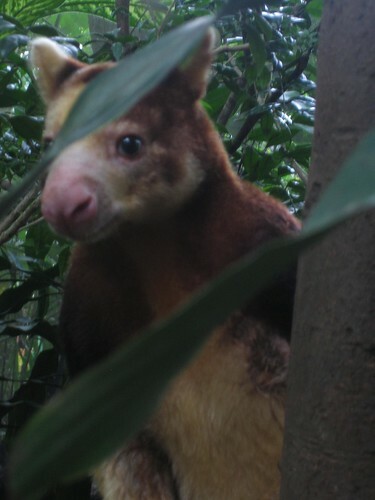 The tree Kangaroo came so close, it really didnt feel like you were in a Zoo. 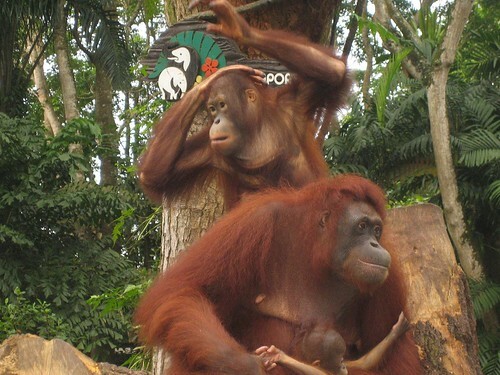 Great blog Ben and you are right Singapore Zoo is awsome!